Our Membership year runs from January 1st to December 31st each year. Renewals and new memberships are taken up until June 30th. Membership forms for 2019available below, online membership available here via link. Membership entitles you to participate in our Pointscore competition for ‘Horse of the Year’ (HOTY). Prizes are awarded at year end across all levels for both seniors and juniors. Horse of the Year and Reserve at each level excluding Preparatory. We also award Riding Helper of the year, Non Riding Helper of the Year, Jayholm Charglo Schoolmaster Award, Preparatory Encourager and the Kiabe Sylvan Junior Pony Partnership award. Please see below for HOTY rules. There is a requirement to volunteer for 4hrs over the year to be eligible for HOTY and any Annual Awards. Juniors are more than welcome at the club and are awarded seperately in each unofficial class. The same rules apply for HOTY eligibility. 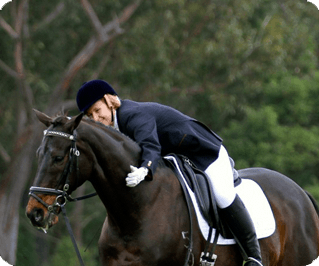 To compete in Associate tests a rider must be either a current financial member of WDA or a member of Equestrian Australia (EA). To compete in Official tests the rider (and owner) must a be current financial member of EA and the horse or pony must be registered with EA and have a current Performance card.